Present Perfect, an exhibition of new work by Brendan Earley, commissioned by Sirius Arts Centre for One Here Now: the Brian O’Doherty / Patrick Ireland Project, is a response to the restoration of One Here Now; a nine-part series of large wall paintings made by eminent New York-based Irish artist Brian O’Doherty in 1996. 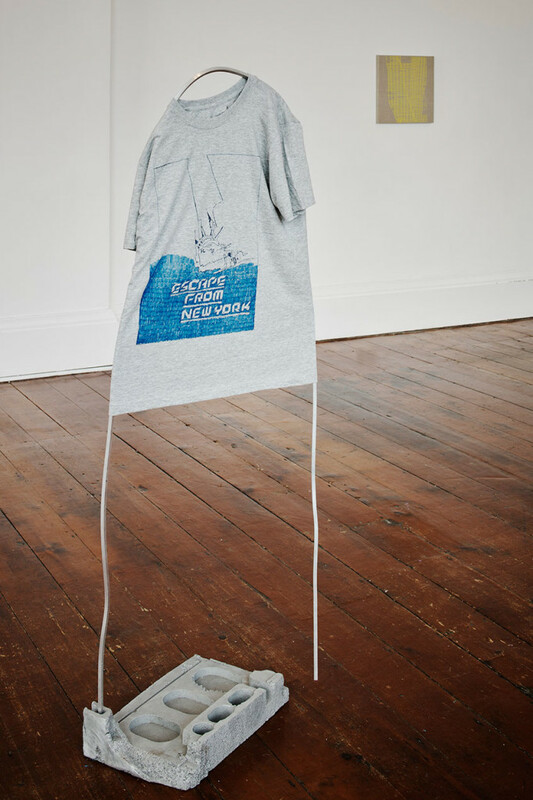 For this new body of work, Earley’s approach has been research-orientated, investigating the history that lead Brian O’Doherty to create the original work at Sirius Arts Centre. 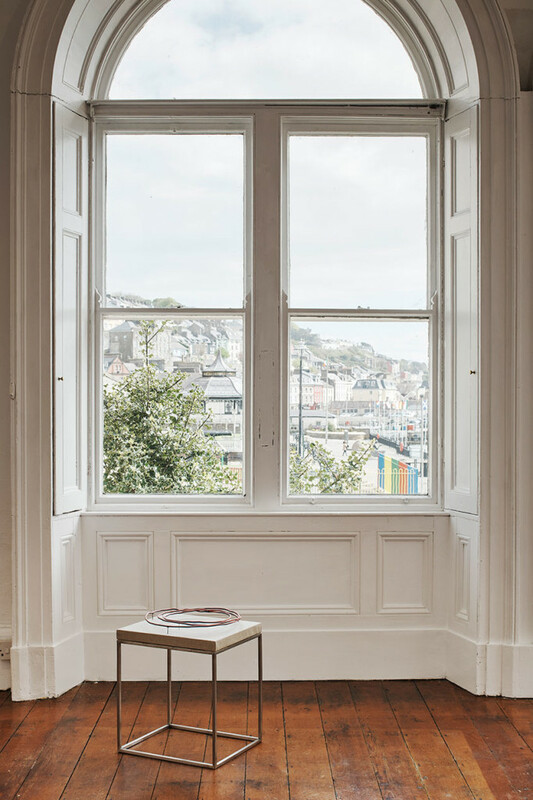 This approach is in keeping with a renewed interest in Modernist history in contemporary art and to elucidate its relationship with our present. 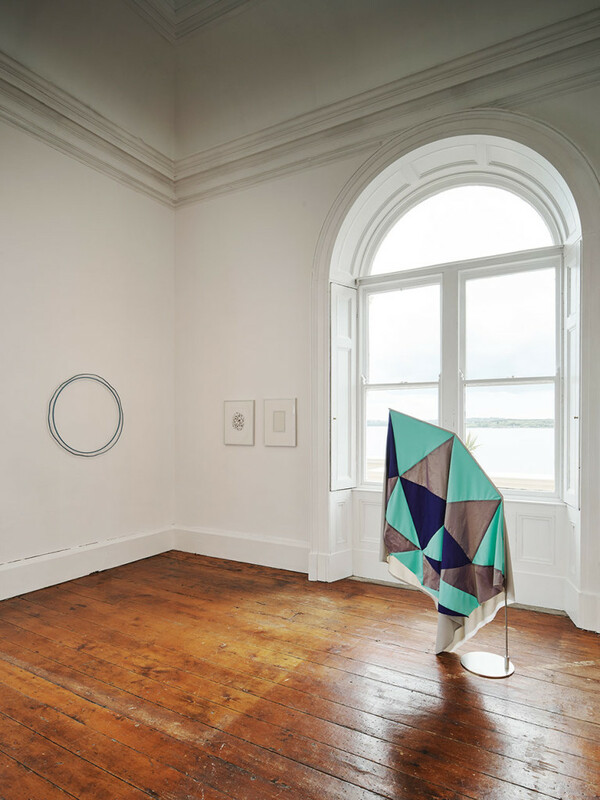 Using textiles and embroidery in particular in his drawings and sculptures, Earley provides a meeting between the pictorial and the tactile to consider the conceptual implications of the woven structure and its relationship with time. 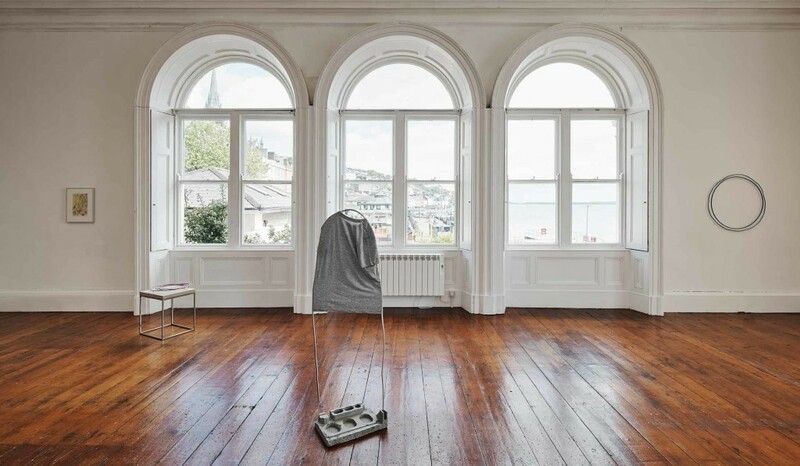 By doing so, he aligns the work with some spatial experiments undertaken by minimalism and some forms of conceptual art of which Brian O’Doherty was a leading exponent. 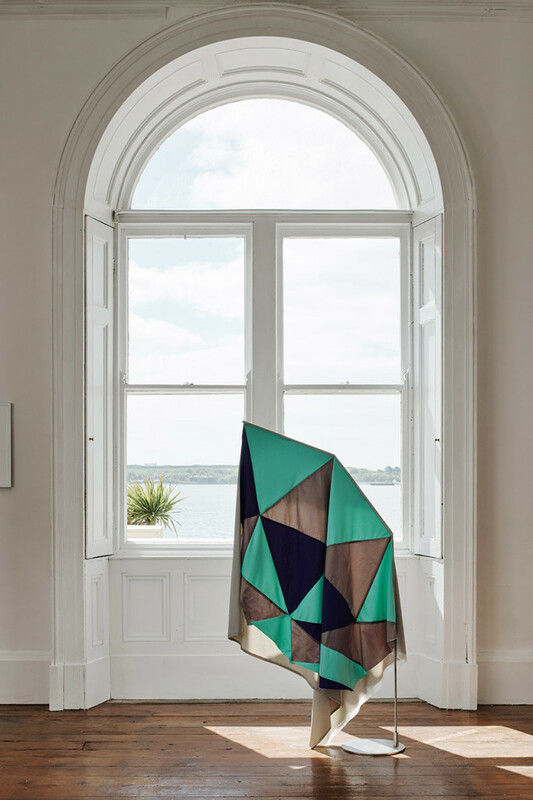 The process of textile making alludes to the present moment – it becomes, through its own manufacturing, an embodiment of time itself, whether its the accelerated speed of industrial production of the linen, or the deliberate pace of the embroidery. Process, as a medium in itself, has always played a central role in Earley’s work. This element, allied with the language of assemblage, seeks to explore the unease relationship we have now between objective form and early visionary experiments in Modernism. 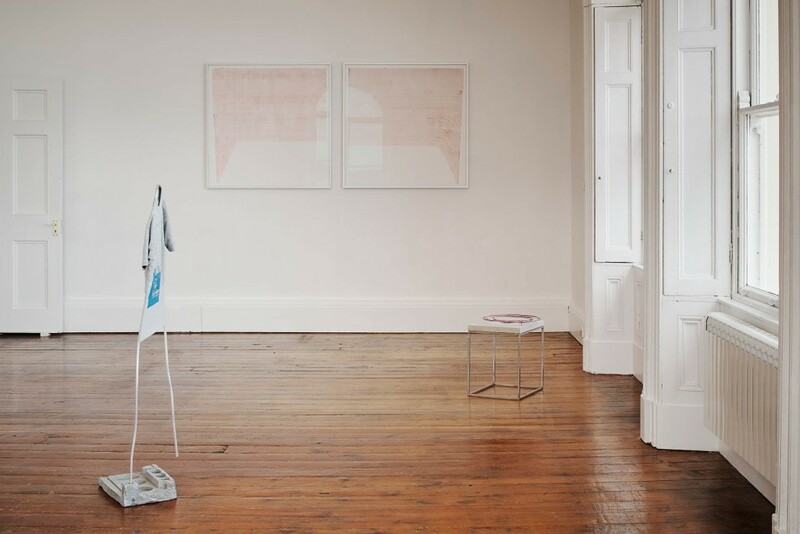 The notion of textiles as a constructed, complex, language-like form echoes themes in Brian O’Doherty’s murals, which comprise of abstract paintings and the ancient Irish alphabet of Ogham, thus developing a dialogue with O’Doherty’s concerns around language and Irish identity/colonial history. Books frequently appear in Earley’s work – either as physical props or a casual piles. The titles draw from a multiplicity of literary traditions, from postmodern crime fiction to aesthetic histories, evoking sustained contemplation and emotive tension.